Translation of Valmiki Ramayanam verse by verse in simple english prose. This is the end of the first chapter Of the book of Kishkinda of the holy Ramayana composed by Valmiki as the first epic. 2. Sugreeva is scared and deputes Hanuman. That great monkey Hanuman , who cannot be easily approached said, “Yes” and proceeded to whichever place the very strong Lakshmana and Rama were going so that he can meet them. This is the end of the second chapter Of the book of Kishkinda of the holy Ramayana composed by Valmiki as the first epic. This is the end of the third chapter Of the book of Kishkinda of the holy Ramayana composed by Valmiki as the first epic. 4.Lakshmana introduces Rama and they go to meet Sugreeva. That very famous valorous monkey , who was the son of wind god felt happy in doing his job properly travelled to the great mountain along with an auspicious mind as well as Rama and Lakshmana. This is the end of the fourth chapter Of the book of Kishkinda of the holy Ramayana composed by Valmiki as the first epic. This is the end of the fifth chapter Of the book of Kishkinda of the holy Ramayana composed by Valmiki as the first epic. This is the end of the sixth chapter Of the book of Kishkinda of the holy Ramayana composed by Valmiki as the first epic. The king of monkeys after hearing the words of that great man who was a bull among men and that learned chief hero among the monkeys thought that his mission has been accomplished in his heart. 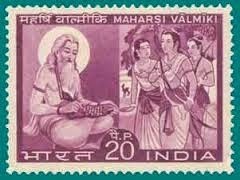 This is the end of the seventh chapter Of the book of Kishkinda of the holy Ramayana composed by Valmiki as the first epic. 8.Rama asks Sugreeva about the cause of enmity with Vali. This is the end of the eighth chapter Of the book of Kishkinda of the holy Ramayana composed by Valmiki as the first epic. “ Oh friend, I concluded from the signs that my brother has been killed and closed that hole with a stone as big as a mountain and with great sorrow performed water oblations and reached back Kishkinda and though I tried to conceal the happenings, the ministers persuaded me to tell about it. This is the end of the ninth chapter Of the book of Kishkinda of the holy Ramayana composed by Valmiki as the first epic. This is the end of the tenth chapter Of the book of Kishkinda of the holy Ramayana composed by Valmiki as the first epic. This is the end of the eleventh chapter Of the book of Kishkinda of the holy Ramayana composed by Valmiki as the first epic. Then they all went to Kishkinda the capital of Vali and hid themselves behind a tree and stayed there . Rama along with his brother as well as Hanuman came to that forest which was entered by Sugreeva. This is the end of the twelfth chapter Of the book of Kishkinda of the holy Ramayana composed by Valmiki as the first epic. In the front of the great soul Raghava, the strong necked Sugreeva and Lakshmana walked ahead. They walked seeing bent trees due to heavy load of flowers , rivers with pure water flowing to the sea. This is the end of the thirteenth chapter Of the book of Kishkinda of the holy Ramayana composed by Valmiki as the first epic. This is the end of the fourteenth chapter Of the book of Kishkinda of the holy Ramayana composed by Valmiki as the first epic.